In April, we published an investigation into Michael Cohen’s past. That episode traced how so many of Cohen’s associates over the years have been convicted of crimes, disbarred or faced other legal troubles. But — at the time of the episode — the president’s former lawyer had himself never been convicted, or even accused of a crime. Well, it’s time for an update. Cohen pleaded guilty Tuesday to eight felony counts, including tax fraud, lying to a bank and campaign finance violations. The same hour he was pleading guilty in a New York courthouse, a federal jury some 200 miles away found another former Trump aide guilty: Paul Manafort, the erstwhile campaign chairman. Also eight counts. Also bank and tax fraud. Though the jury couldn’t reach a final verdict on 10 other counts. 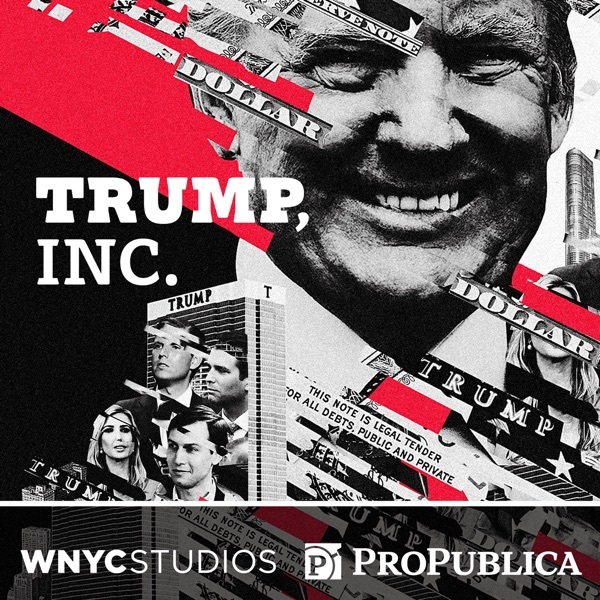 Trump, Inc. podcast co-hosts Andrea Bernstein and Ilya Marritz sat down with WNYC’s Brian Lehrer for a live radio segment to break down the action. And we’re posting it here for you. Enjoy. And keep an eye on your podcast feeds, because season two of Trump, Inc. is coming your way in September! Sign up to the notified.